Waskar Ari, Earth Politics: Religion, Decolonization, and Bolivia’s Indigenous Intellectuals, Narrating native histories (Durham: Duke University Press, 2014). Also check out Waskar Ari’s response to COHA’s book review. In June 1929, the Peruvian marxist intellectual José Carlos Mariátegui presented a thesis on the problem of race in Latin America to the First Latin American Communist Conference meeting in Buenos Aires. Based on a model extracted from South Africa, the Communist International wanted communists to agitate for an independent Quechua and Aymara republic in the South American Andes. Mariátegui countered that nation-state formation was too far advanced in South America to seriously consider a reconfiguration of borders, and that separation of the most marginalized areas of the country would ensure a continuance of grinding poverty in a Bantu-style state. Furthermore, seceding into an Indigenous republic without addressing underlying class contradictions would lead to a country dominated by an Indigenous bourgeois that would be as exploitative as the current one governed by the descendants of European colonists. The solution instead, according to Mariátegui, would be for the Indigenous masses to join workers and others in a socialist revolution. The 1929 discussions were not the first time that the idea of a separate government for Indigenous peoples in the Americas was raised. In fact, the formal administrative policy of the Spanish colonial power was to maintain two separate republics, one for the Europeans and a second for Indigenous peoples. These separate republics were not equal, nor were they intended to be. Nevertheless, the fantasy of creating a separate Indigenous republic remains a powerful image among certain tendencies of Indigenous rights movements. Waskar Ari sympathetically explores the ideology behind one such tendency in Earth Politics. Ari, an Assistant Professor of History and Ethnic Studies at the University of Nebraska, Lincoln, frames his discussion around four Indigenous activist-intellectuals in Bolivia who drew on colonial legislation regarding administration of Indigenous populations to mobilize for their rights in the twentieth century. These activists (Toribio Miranda, Gregorio Titiriku, Melitón Gallardo, and Andrés Jach’aqullu) were leaders of what was called the Alcades Mayores Particulares (AMP). The AMP drew on a nineteenth century tradition of opposition to liberal reforms that deprived ayllus (Indigenous communities) of their lands, and contributed to subsequent Katarista ideas that emerged in the 1970s of rejecting internal colonialism and embracing an Aymara nationalism. The phrase alcades mayores in AMP drew on colonial terminology for local Indigenous leadership. The activists added “Particulares” to indicate their rejection of government-supported education which they saw as contributing to an internal colonization of Indigenous communities. Instead, these activists advocated a return to the colonial policy of maintaining two separate and parallel republics for Indigenous peoples and those of European descent. The AMP became known for their advocacy of worshiping Aymara gods and creating a separate Aymara republic known as Qullasuyu. Politics of segregation cut in several directions, and that tension is felt throughout this work. Ari is sympathetic to the goals of ethnic nationalism. The problems with ethnic separatism are already obvious in Mariátegui’s critique of the Comintern’s policy. On the other hand, Ari does not hesitate to criticize (as he rightly should) the dominant power structures when they attempted to exclude Indigenous peoples from “white” spaces, such as the main plaza in Bolivia’s capital city of La Paz. But rather than responding to this discrimination and oppression with calls for separation, a better policy would be to pursue the goal that the neo-Zapatistas of Chiapas, Mexico followed of attempting to create a world in which space exists for all of us. A consistent theme that runs throughout the book is Indigenous activists who rediscovered their ethnic heritage and returned to their traditional dress and religion. Toribio Miranda, for example, claimed the use of traditional dress as a religious duty. This book, perhaps inadvertently, makes it clear just how superficial such external ethnic markers can be. Depending on how one dressed and presented oneself, the same person could alternatively be seen as a mestizo, cholo, chullpa (all intermediary categories between Indigenous and European), or Indigenous person. In The Trouble With Diversity, Walter Benn Michaels argues that it is meaningless to hold to these markers if they unnecessarily lead to discriminatory actions. More importantly, such ethnic positioning does little to address underlying factors of class oppression that does have concrete material ramifications. While holding on to tradition and identity in and of itself is valuable and under no circumstances should anyone ever face discrimination for doing so, historically ethnicity has not proven to be a strong basis on which to build a powerful and sustainable movement for political change. But political change was not the AMP’s main goal. While others used liberal, populist, or leftist frames to address the problems that Indigenous peoples faced, the AMP instead turned toward religion as the solution. Even while embracing a turn to a worship of Aymara gods, Ari recognizes the syncretic and fluid nature of these religious expressions. When it served their purpose, the AMP would work within the constructs of the Catholic Church. More notable was a turn in the 1970s to the Bahá’í faith. Andrés Jach’aqullu became a minister in that religion, a position that precluded him from involvement in political activities. 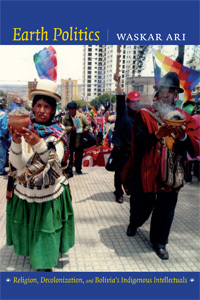 Perhaps more than any other factor, this turn reveals the anti-political nature of this tendency of Indigenous movements in Bolivia. Anti-capitalist discourse generally tends to assume one of two characteristics. One adopts an anti-modernistic discourse and seeks to return to a distant and fictitious past in which everything was imagined as being better. Another perspective draws on the inspiration of tradition and history, but struggles to move forward into a new and better future. This second direction is the path that Mariátegui laid out as he turned to socialism to solve persistent problems of poverty, inequality, and marginalization. It does not necessarily mean a rejection of religion, but neither does it see religion as the solution to these problems. Both Waskar Ari and the protagonists in this book reject the political left as antipathetic to the goals of Indigenous activists. In making this argument, Ari propagates a myth that the political left operated independently from Indigenous communities, or worse exploited their concerns to advance their own political agenda. While unquestionably this was true in certain circumstances, in others the left embraced subaltern concerns as their own. 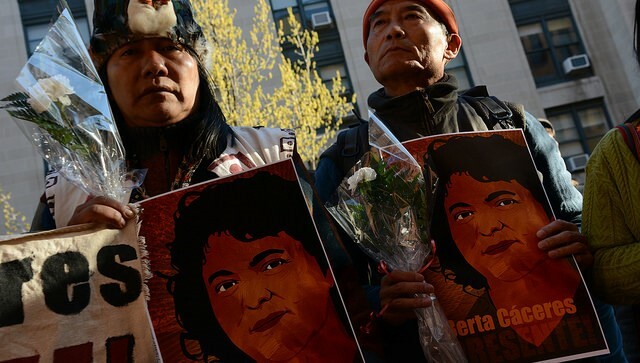 Furthermore, occasionally leftist leaders emerged directly out Indigenous communities. 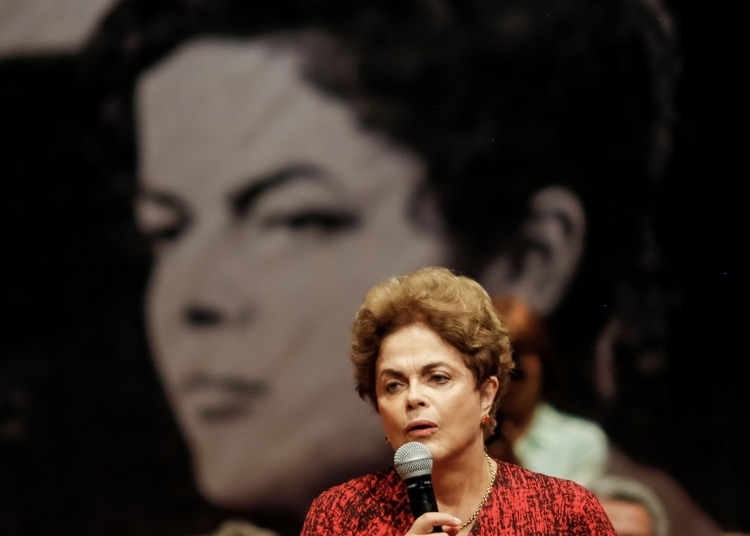 As such, it is a mistake to assume that Indigenous and leftist movements operated at cross-purposes. This is even truer in a region like Latin America with a high degree of correlation between race and ethnicity, where those who faced racial discrimination also suffered class oppression (not to mention women who were additionally subjugated because of their gender). 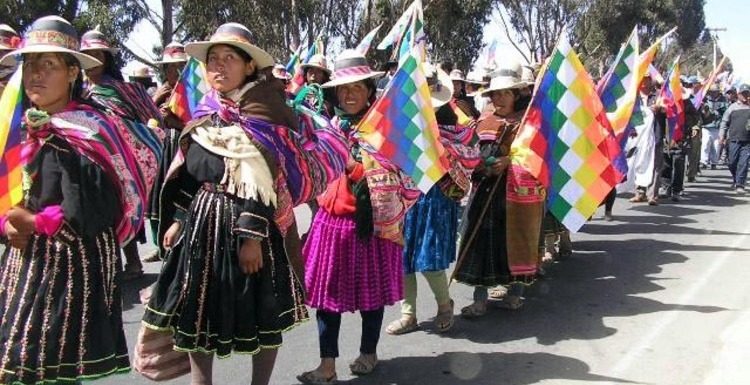 In recent years, Evo Morales’ government in Bolivia has made a concerted effort to draw on Indigenous cosmologies to advance its governing agenda. In particular, foreign minister David Choquehuanca has talked about the suma qamaña as a way to live in full harmony with the world around us. As the world confronts catastrophic disaster due to climate change, no more urgent action faces us if we are to survive on this planet. Unfortunately, achieving the goal of suma qamaña requires much more than an exercise of religious decolonization. It requires concrete material action.